From the Home screen, navigate: Settings > Phone. 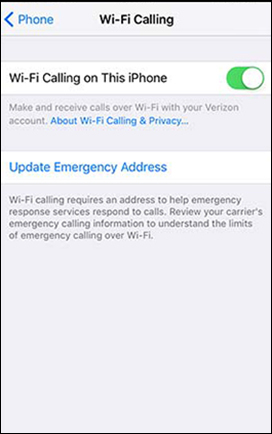 This info gets transmitted to the emergency dispatcher for all 911 calls made over a Wi-Fi network. If address validation fails then you are prompted to enter a new address until a valid address is entered. 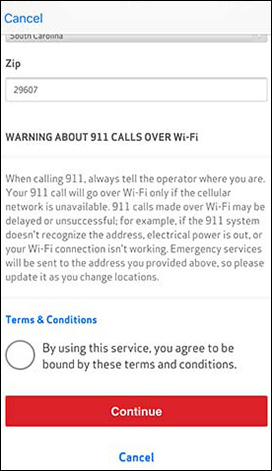 To proceed, from the Terms and Conditions screen, tap the radio button then tap Continue. Press the Home button (for iPhone 8 and and previous models). Swipe up from the bottom of the screen (iPhone X / XS / XS Max / XR).